The success of PSS Engineering is been built on developing strong working relationships with our clients and sharing skills and knowledge to benefit both the client and ourselves. 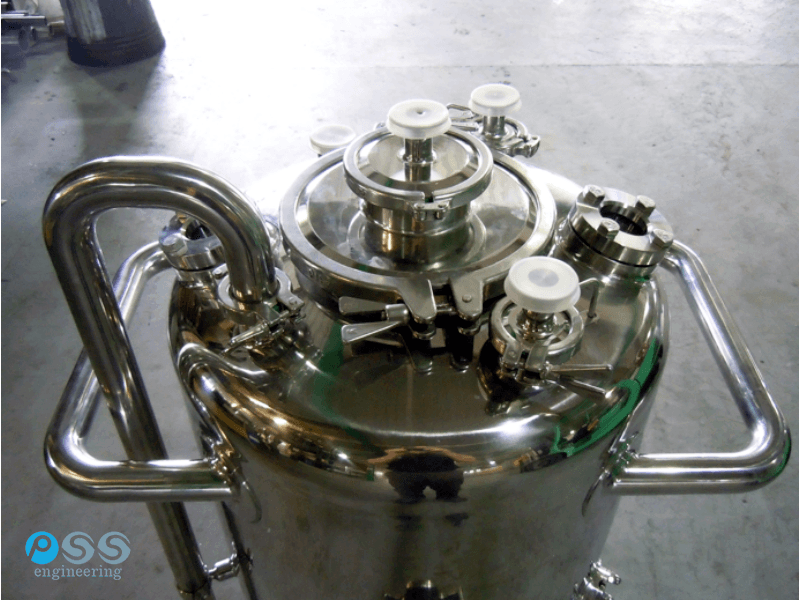 Many of PSS Engineering's customers are OEM suppliers to the pharmaceutical and healthcare industries which places some of our products in the most prestigious pharmaceutical companies in the world such as: Novartis, Bayer, Baxter Healthcare, Astra Zenica, Procter and Gamble, GlaxoSmithKline and Johnson & Johnson to name a few. The purpose of the project was an upgrade of the existing vessel catalogue for product mixing and synthesis within a clean room environment. 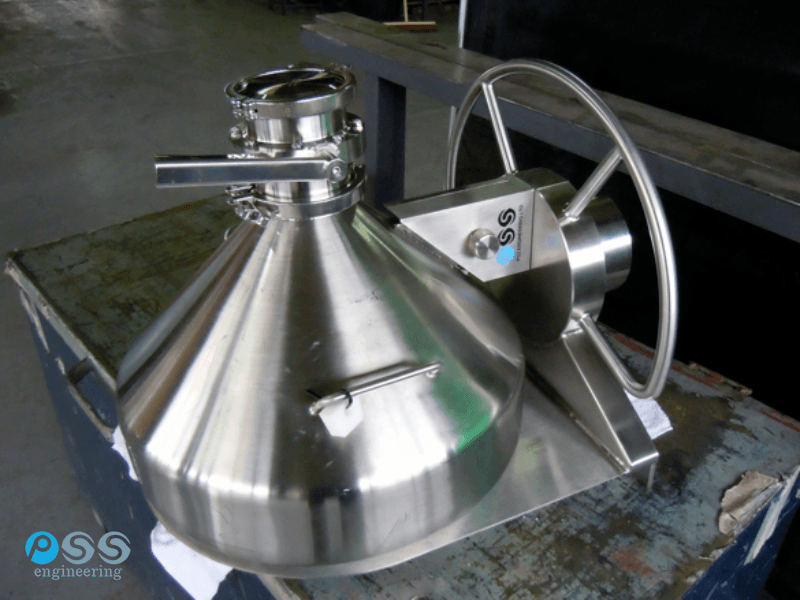 The brief from the customer included the existing vessel data sheets, requests for design changes and high purity process piping to/from the vessels and process control system (PCS). The vessels included: high pressure sight glasses (bespoke), magnetic mixer units (complete with control units), level sensors, pressure sensors, cooling medium jacket, insulation jacket, bespoke sampling points, etc. 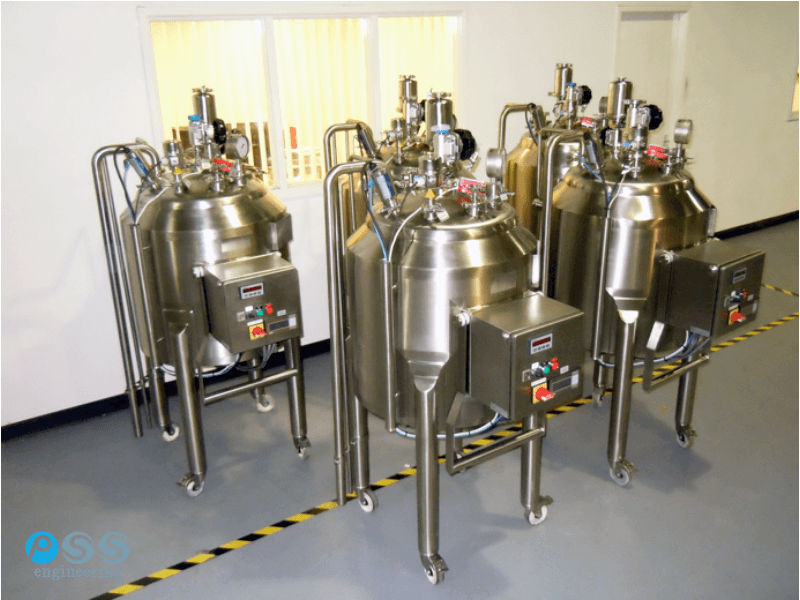 The purpose of the project was to construct a pharmaceutical holding and mixing vessel with the facility to be top fed with concentrate product into a suspension media. The vessel was to integrate into a pumping skid, UDAF (uni-directional air flow) cabinet and product delivery mechanism incorporating a column hoist suitable for maneuvering the concentrate product vessel up/down. The purpose of the project was to complete several complex valve clusters using free issue valves to a mechanical drawing. The valve clusters are weld ended and require joining using our enclosed head orbital welding machines with a specification for limited hand welds. 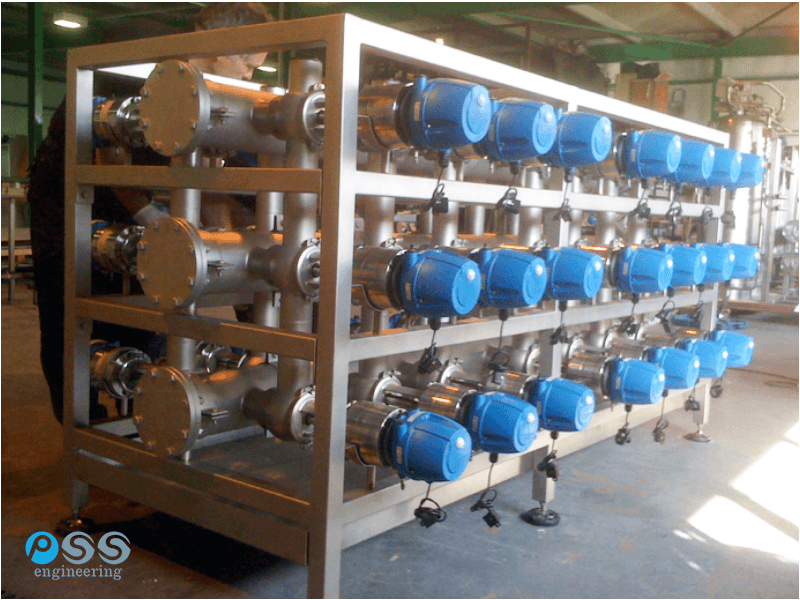 The complexity of the build is based on the number of welds, specific valve positions and the central 6" NB tubing column which is fully welded to all bodies. The cluster was supplied within a box section support frame complete with drip tray. 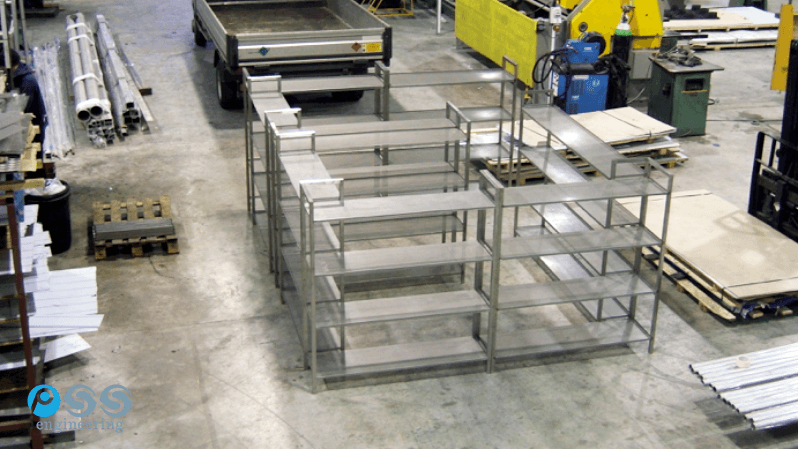 For this project we were asked to fit out multiple industrial refrigeration units with maximised storage of perforated shelving units. The units were designed using perforated sheet metal to allow maximum airflow around the aerosol canisters being stored in these areas. All measurements and design was carried out by PSS Engineering. Our brief included the installation and positioning on site.